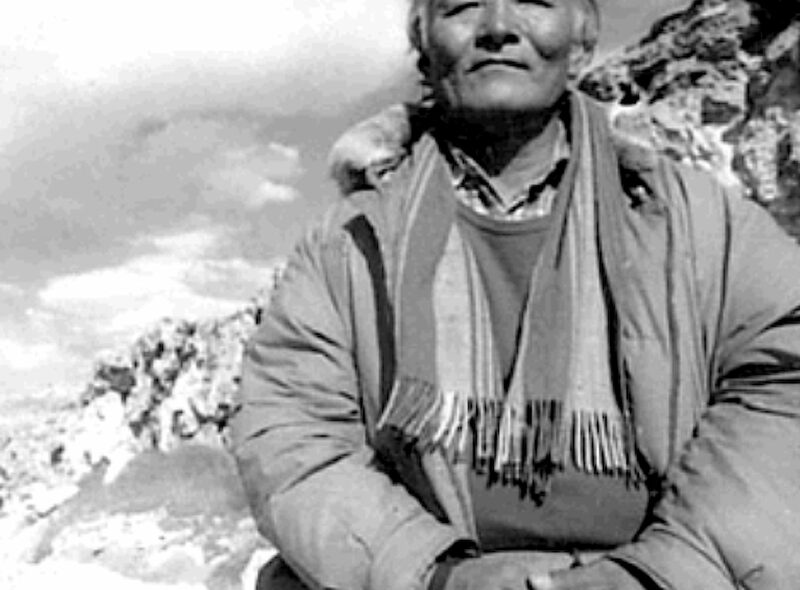 Namkhai Norbu during the 1988 Zhang-Zhung Expedition. Namkhai Norbu Rimpoché passed away last month (Sept. 27th). I want to jot down some memories I have of him and discuss his pivotal contribution to our understanding of ancient Tibetan history. I had no spiritual relationship with him, so I will skip over that part of his fundamental resumé, which in any case has received fulsome and devoted attention by his disciples, Tibetans and injis, in many posts and memorials. I met Rimpoché in 1993, a year after we had established the Amnye Machen Institute. 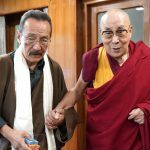 AMI founding director Tashi Tsering-la had requested Namkhai Norbu Rimpoché to give some lectures on Tibetan history to young Tibetans in Dharamshala. The first talk took place at the Gangkyi Information Office auditorium on the 27th of October. I recall a strong, even powerful face, and a voice that was surprisingly gentle and refined, speaking in (what I was later told) the Dergé dialect. The central theme of Rimpoché’s lecture was that the history of Tibetan civilization was considerably older than the mere 1600 odd years that Tibetan Buddhist scholarship had generally assigned to it. Gedun Chophel at Sakya, 1938. Painting by Kanwal Krishna. Courtesy of Latse Library. 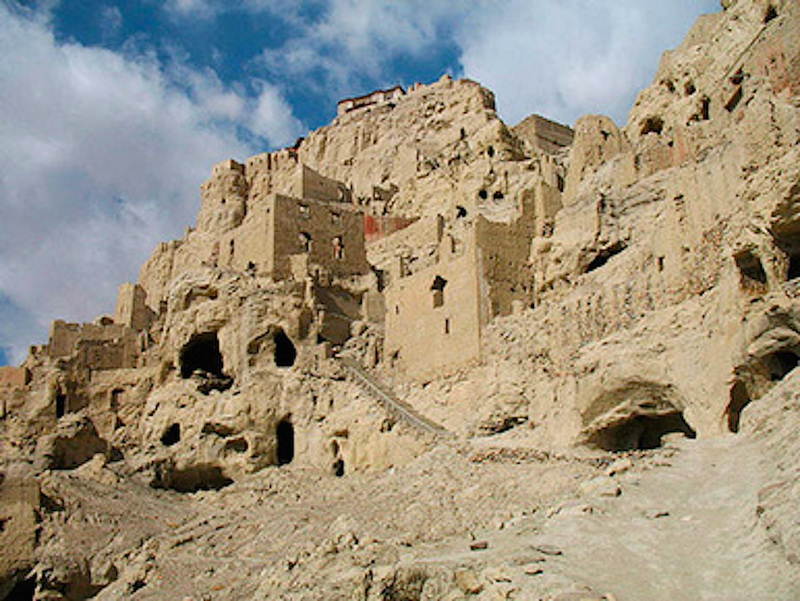 Rimpoche also made the case for Tibetan culture having its foundation in the great kingdom of Zhang-Zhung that had once dominated the entire Tibetan plateau. From this he theorized that the first Tibetan script had originated in Zhang-Zhung and preceded the Gupta/Brahmi-based script that Thonmi Sambhota created in the mid-seventh century. Rimpoche believed that the Zhang-Zhung script known as sMar-Yig was in existence probably before the reign of the first king of Tibet, Nyatri Tsenpo (who reigned from 127 BCE). This would place a literate Tibetan civilization around the time of the Mauryan Empire in India and the Han Dynasty in China. Rimpoché also proposed that Thonmi Sambhota’s script was created not just to translate Buddhists texts into Tibetan, as is the usual explanation, but for reasons of state ­– to supplant the older and competing Zhang-Zhung culture and written language­. Hence for Songtsen Gampo there was a political imperative in marrying the Buddhist princesses from Nepal and China, for inviting Buddhists masters from India, for building the first two Buddhist temples in Lhasa and, of course, for creating a new script – so that as Rimpoché explained “… Bod acquired a (separate) cultural and religious base of its own (and the) the Kingdom of Bod developed independently of Zhang-Zhung.” After the ambush and assassination of the Zhang-Zhung king, Lik-mi-gya, Zhang-Zhung was annexed to Tibet, and the Tibetan Empire under Songtsen Gampo firmly established. 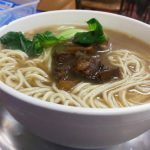 Zhang-Zhung as a language is now considered to be extinct and the various Zhang-Zhung scripts (Mar-chen, Mar-chung , Pung-chen, Drusha etc) we are told “… appear to have little existence outside of calligraphy manuals”… and even that in fragmentary forms. 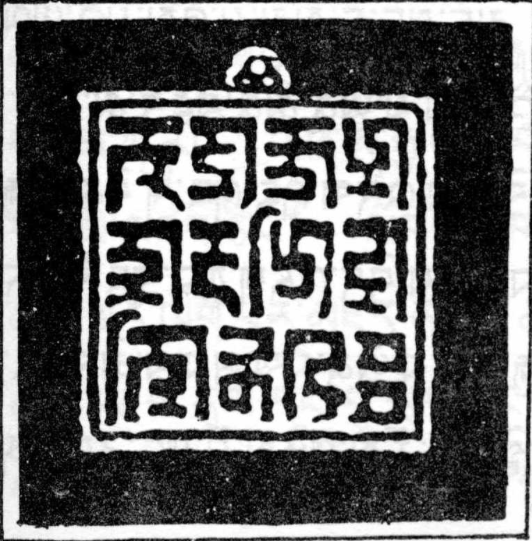 One surviving fragment is a seal of the Zhang-Zhung king Lik-mi-gya, held at Menri monastery at Dolanji, near Simla, which is written in the Mar-chen script. 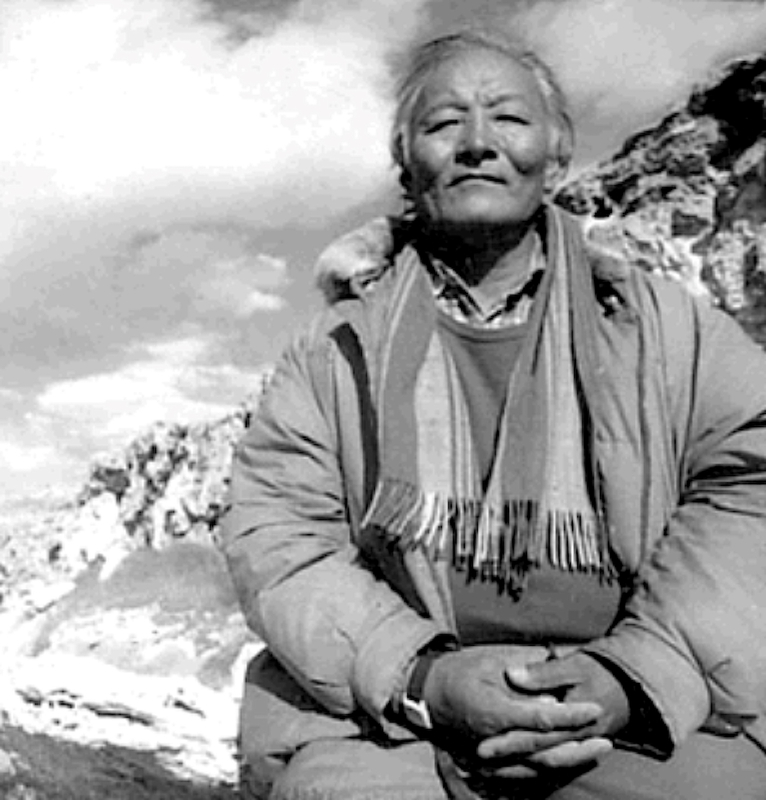 Nonetheless it is a pleasant surprise to learn that there is a growing movement within Tibetan Studies, even among some young Tibetan scholars (no doubt inspired by the pioneering efforts of Namkhai Norbu) to tackle this ancient cryptological/historical mystery of the Tibetan plateau. I have come across a number of related publications including Zhang-Zhung dictionaries and grammars by Tibetan, French, Japanese and American and other scholars. However elusive this pursuit, it is for an amateur history-sleuth like myself just exciting to speculate on the possibilty that like the Mayan Glyphs, the Minoan Linear B or the Chinese Oracle Bone Script, the Zhang-Zhung script will eventually be deciphered and Tibetan history will be established a few thousand years back in its rightful place in time. 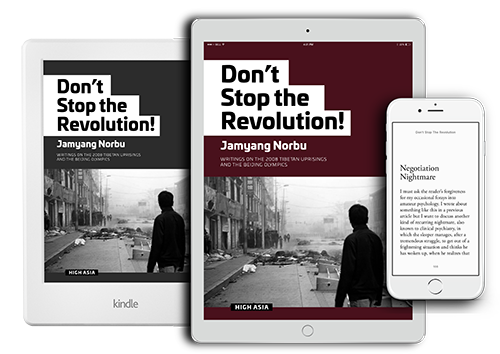 I should also mention here that Namkhai Norbu was not a mere armchair theorist when it came to pushing back the time-boundary of Tibetan history. In his talk he mentioned that in 1988 he personally led an expedition to the Mount Kailash area to search for Khyung Lung Ngul-Khar (the Silver Castle of the Garuda Valley) the last capital of the kingdom of the Zhang-Zhung. The black and white photograph at the top of the page of Rimpoché sitting on a rugged mountainside, is from that expedition. It does not appear to have been an easy trip, by any means. Rimpoché jokingly mentioned in his lecture how difficult it had been for his companions, and I do not doubt that at all. I read about a Chinese archeological expedition to that area, well equipped with Toyota Landcruisers and ample oxygen cylinders, but whose members were crippled by the altitude and cold. There is video (unfortunately low quality) of Rimpoche’s expedition where we get some images of the cave cities of Khyung Lung. 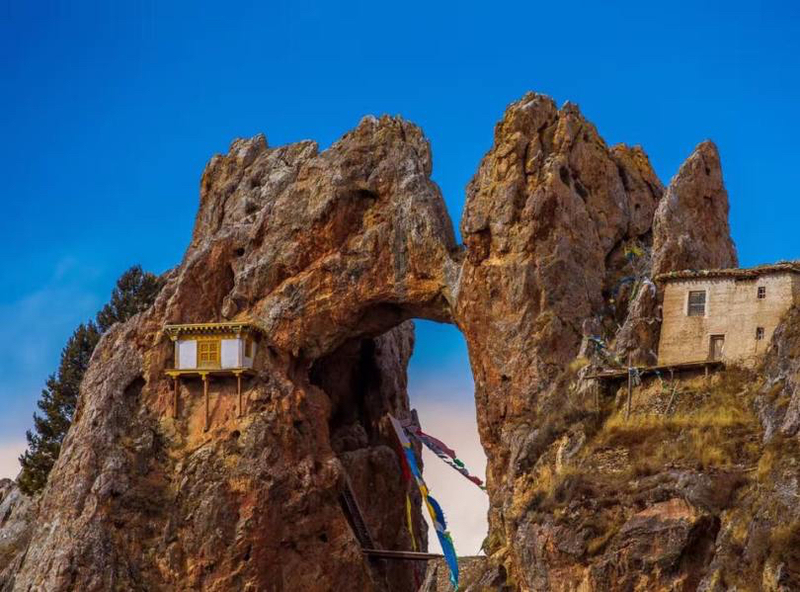 Rimpoche in his lecture said that these amazing edifices were the dwellings of the Zhang-Zhung people in winter, but that in summer they lived in yak-hair tents and led a pastoral lifestyle. I recall Rimpoché remarking on the resemblance of the Khyung Lung caves to the Anazazi cliff palaces at Mesa Verde in Colorado. It might be mentioned that Rimpoche first spoke on the “The Cultural History of Tibet” at a gathering of Tibetan youth in Switzerland in 1975. On the basis of that talk he wrote his short work Bod rigs gzhon nu rnams la gros su ‘debs pa gzi yi bhreng ba, which was translated into English by K. Thondup as The Necklace of Dzi in 1981. Rimpoché developed his thesis in a later publication Light of Kailash: History of Zhang Zhung and Tibet (2009). Besides many other important books and publications Rimpoché has organized and hosted a number of important conferences on Tibetan language, medicine and culture at his base the Zhang-Zhung Research Institute at Arcidosso in Italy. I do not want to conclude this post with a dry-as-dust list of publications, lectures and conferences. So I will leave the reader with an amusing anecdote having nothing to do with history or scholarship, but which hints at another minor aspect of Namkhai Norbu’s genius. Sometime in the mid-eighties Namkhai Norbu visited my uncle Rakra Trulku at the Pestalozzi Children’s Village in Switzerland. During their after-dinner conversation Namkhai Norbu asked my uncle if he would like to experience a “mirror divination” (tib. tra-pab). 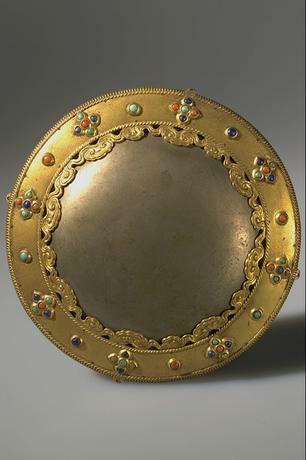 My uncle was curious and so Namkhai Norbu pulled out a brass melong mirror and set it up on the dining table. He began chanting and tossing grains of rice on the mirror surface. My uncle told me that soon the mirror surface began to cloud over and a vision appeared. Rakra Rimpoche did not tell me what he saw and I did not press him. But some of the Tibetan children at Pestalozzi who were crowding around the two lamas and looking to be entertained, later told me of their experiences that evening. They all saw different things – fleeting landscapes, people and so on. Nothing of consequence. One girl told me that she saw Tibetan letters appearing and disappearing on the mirror surface. She took up Tibetan Studies later in life. 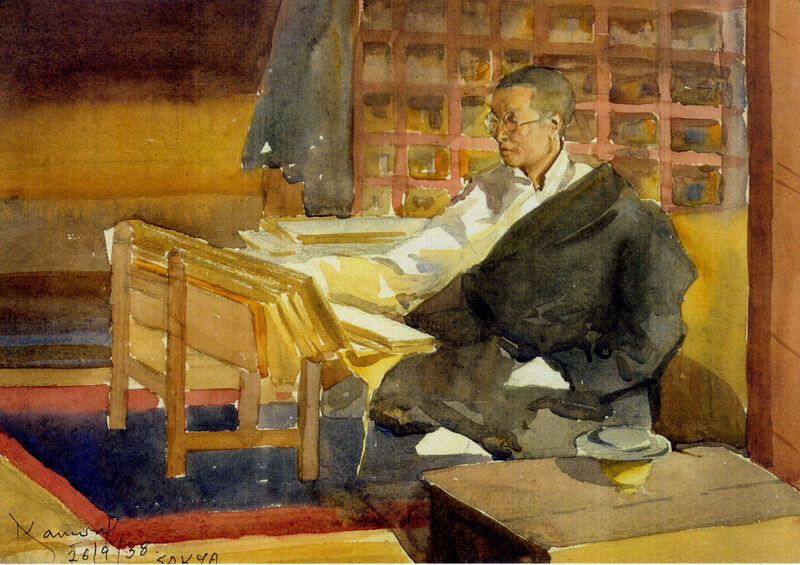 Rimpoche’s first talk at Dharamshala was recorded by the Library of Tibetan Works & Archives. I hope that the Library will release this recording soon. In the meantime readers might check out the following video-interview of Rimpoché by Voice of America in 2014. Do you know where I can buy Rinpoche’s books in Tibetan in Delhi? 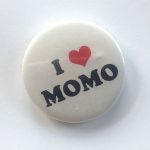 thank you for this post and the video clips.